The best middle-distance runners from around the country came together at The Crest Athletics Track in Georges Hall on Saturday night, for the annual Albie Thomas Mile and the resurrected Australian Mile Championships, to battle it out for the prestigious National Mile Crown and a share of the $12,000 prize pool. Congratulations to Matthew Ramsden from Western Australia who won the men’s mile in 3:59.12, ahead of two-time Olympian Ryan Gregson from Victoria, and Rorey Hunter who represents Bankstown Sports. Whitney Sharpe from Victoria won the women’s mile in 4:37.32, ahead of two-time Olympian and Australian 5,000m Steeple Chase champion Genevieve Gregson, and Rose Davies from Athletics NSW. Jaylah Hancock-Cameron from Bankstown Sports came in a close fourth place, just two seconds out of the top three with a time of 4:41.98, which makes her the fastest Under 18 female miler in the world. In other events, Taylor John from Bankstown Sports ran second in the Open Male 800m and Luke Gosper came in seventh. Briony Norton came in seventh place in the Open Female 800m. 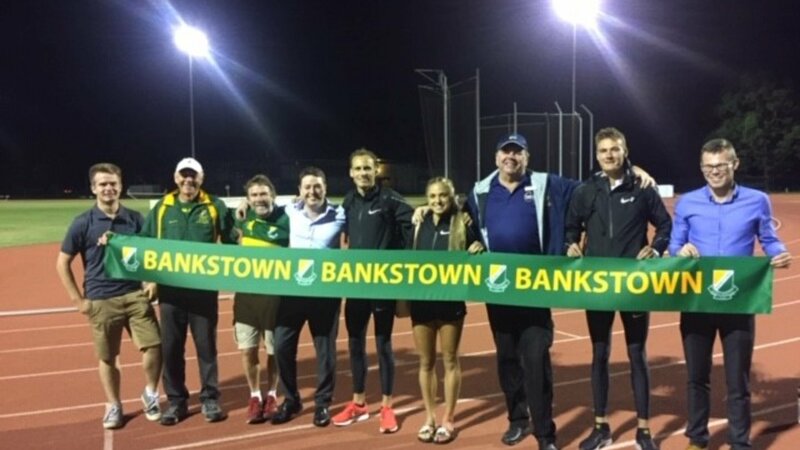 Bankstown Sports Athletics Club has been commended by Athletics NSW for their enthusiasm and dedication to resurrecting the Australian Mile Championships. “The first Australian Mile Championships for 25 years, held in Sydney, was a major success. Conducted as part of Bankstown Sports Athletics Club’s annual Albie Thomas Meet, the Championships attracted quality fields who produced on the evening. In the boutique Crest venue, it was a relaxed atmosphere, but still a sense of history and occasion that made it a great event and a must do on your athletics calendar. “The event looks to be here to stay thanks to the outstanding commitment of the Bankstown Sports Athletics Club, led by President Colin Whitbread. They rallied dozens of members who worked closely with a small group of Athletics NSW officials to host an outstanding event”.